Third Session of the Born Learning Academy. Born Learning Academy is a series of family workshops for parents of children not yet enrolled in Kindergarten. 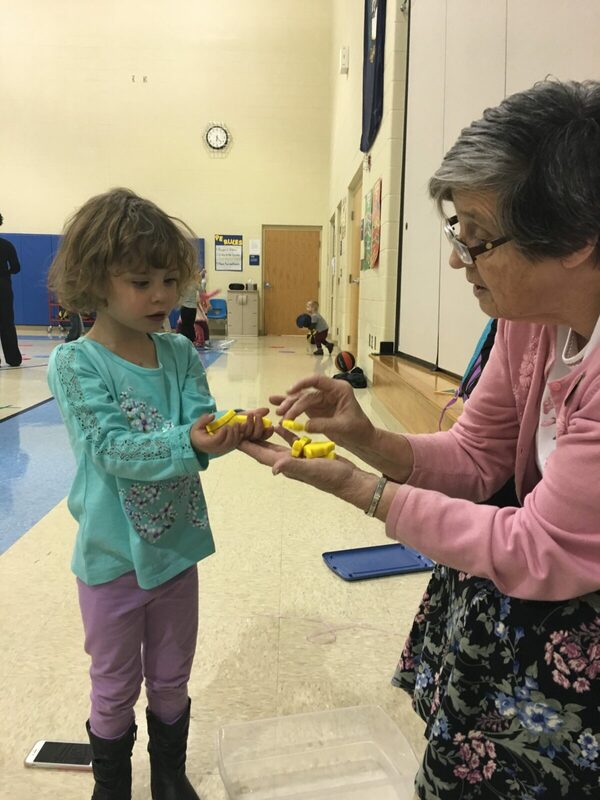 Photo-Mrs. Judy Bradshaw, Instructor in Division of Education, is pictured with her granddaughter, Kinley Ray age 4. They are doing a counting and shapes activity made from play doh during Born Learning session #3 that was held on Thursday, November 2, 2017, at Adair County Primary Center.